Applications due 4/27/2017; elections held May 9th. 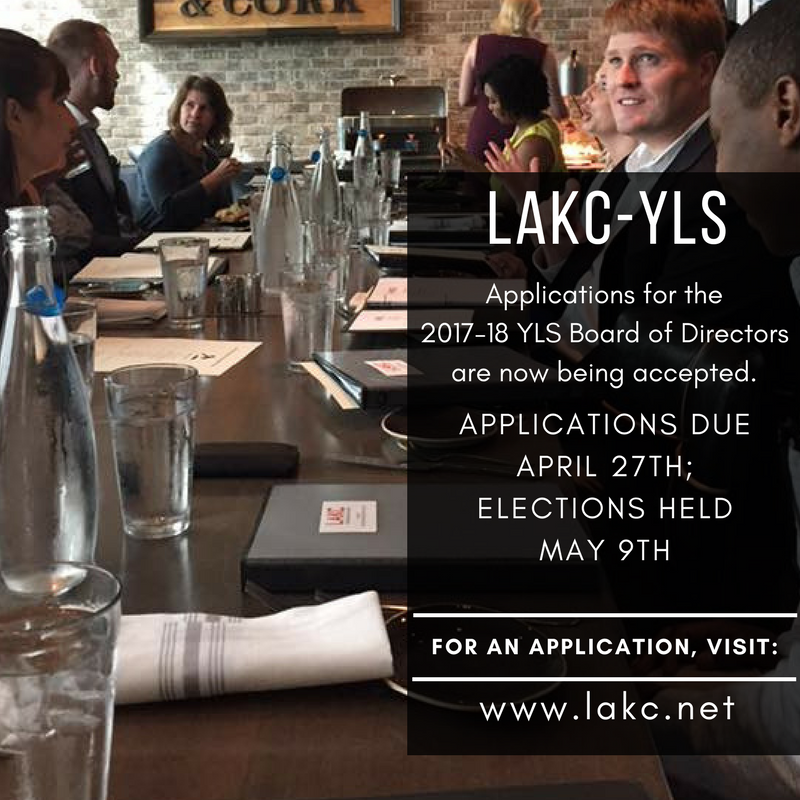 The Young Lawyers Section of the Lawyers Association of Kansas City is now accepting applications for the 2017-18 YLS Board of Directors. Interested candidates should complete the application provided and submit to Tyler Scott at tyler.scott@huschblackwell.com on or before April 27, 2017. Elections will be held on Tuesday, May 9, 2017 @ Tom's Town Distilling Co., 1701 Main ST, Kansas City MO.